Every volunteer’s experience is different. This is a mantra that we hear since day 1. There are some universals that many of us experience but the day-to-day life of a volunteer largely depends on the volunteers site and the individual interests and personality of the volunteer. Here is my typical day. Hanging out with the five year old that lives in my house. She was very shy but has warmed up to me and taking selfies. I wake up between 6:30AM-8:30AM. Depending on the hour, temperature and how well I slept the night before I’ll exercise in my apartment either lifting some dumblells my landlord gave me, doing yoga, situps, squats or some combination. I’d like to say this exercise happens often, it doesn’t. When the weather gets nicer my goal is to get up closer to the 6:30 AM side and start running again. 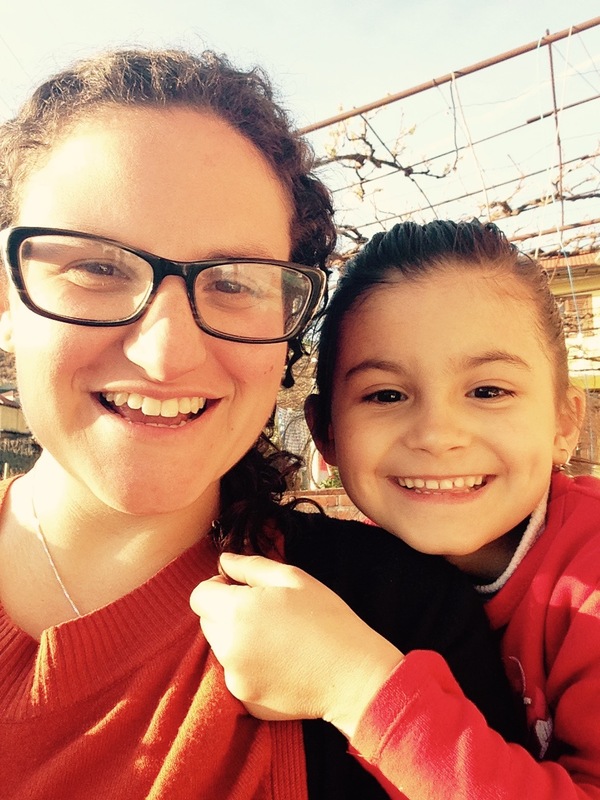 I also had a goal to blog regularly in Albania, so we’ll see how that goes. During the winter showering can be a painful process. Albania doesn’t really have insulation. Also, to get to my bathroom I also have to walk through my enclosed porch which if its cold and rainy and be quite cold, but also can be quite warm if the sun is shining. There have been mornings where I purposely take a long hot shower just to steam the bathroom up and create a warm sauna until I run back into my room to stand next to the electric heater while trying to get dressed. Is this too much information? Now that I’m dressed and ready to go to work. 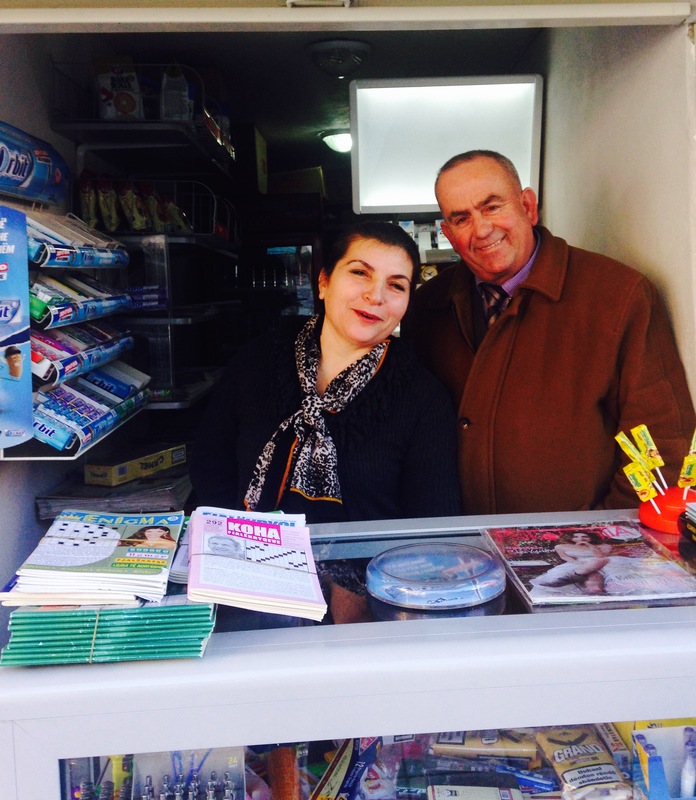 I stop by this newspaper stand run by Maria and her husband Fran. I buy a newspaper and snack from them almost daily. It comes with a side of conversation in Shqip. Most days I buy a packaged croissant from her for about 20 cents and a newspaper. The newspaper serves two purposes: to help my learning of Shqip (Albanian) and great kindling for my wood stove. I arrive at work. I have been working primarily at LERDA. My tasks there vary from helping with projects design, helping to network the organization with others in the region or Albania or working on other secondary projects such as Write On!, Model UN, or GLOW. 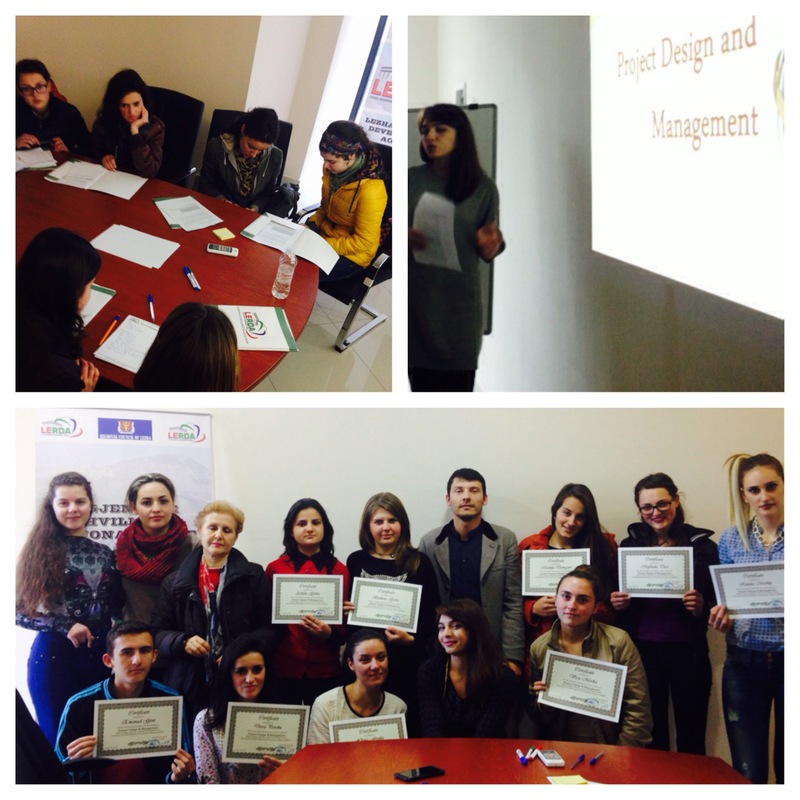 LERDA’s project manager led a project design and management workshop with some local high school students this winter. The students from the local high school attended the week long training. Each student received a certificate at the end of the training. I stay at LERDA typically until 2PM – 4PM and at that point I head for some coffees, language lessons or do work on a secondary project such as Model UN. Life here in Albania has become more ordinary than I would ever expect, thus I don’t necessarily feel the need to write about it. While there are always new challenges and exciting things happening, these ups and downs have become common for me but I’ll try to see my everyday life as something worthy to write and share.